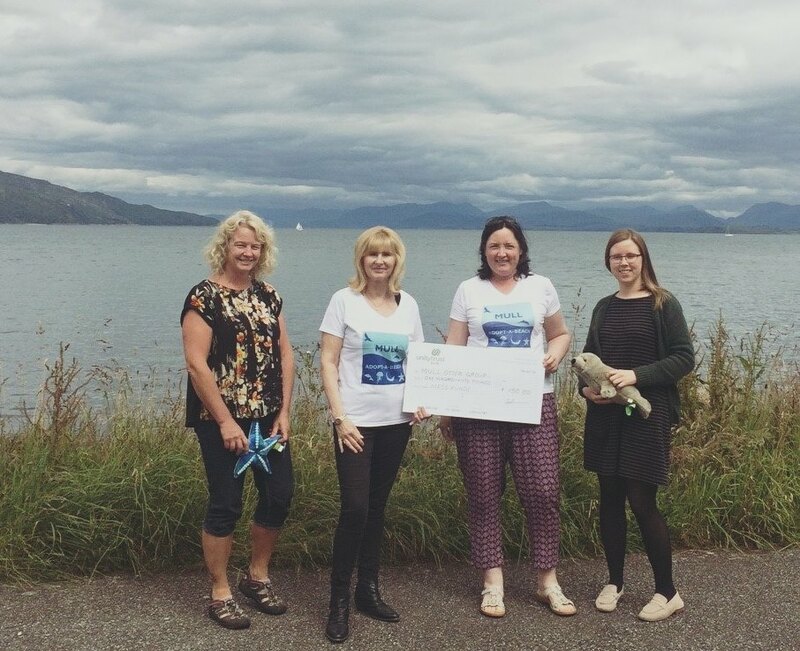 MOG’s Mull Adopt-a-Beach scheme has recently been granted £500 for beach cleaning equipment. £350 from Sea Changers and £150 from MESS Island Castaways charity shops. 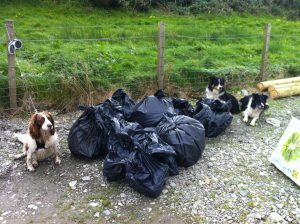 Not only will it help with our beach cleans, but we will lend the equipment to any organisation or individual on Mull, free of charge. We have 20 sturdy litter pickers, 20 pairs of gloves, and 5 handy-hoop bag openers. 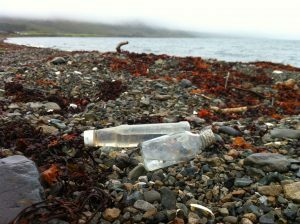 If you have a beach clean and would like to borrow some equipment please contact Marie Fox on mfox62@gmail.com. 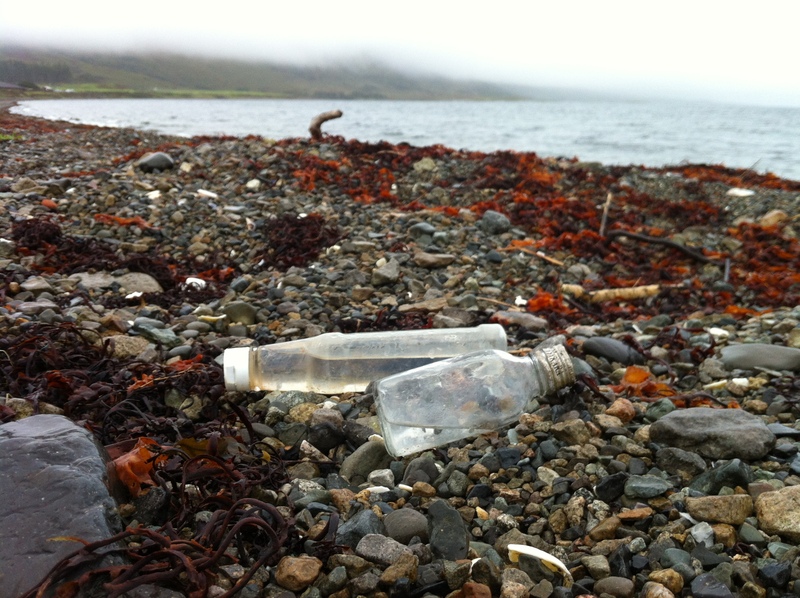 Many thanks to Sea-Changers and MESS, and happy beach cleaning! 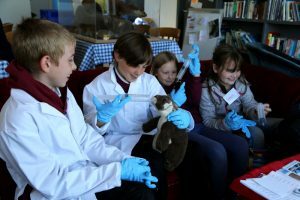 May 31st was World Otter Day, and Mull Otter Group marked the day with lots of fun and educational activities for local children. 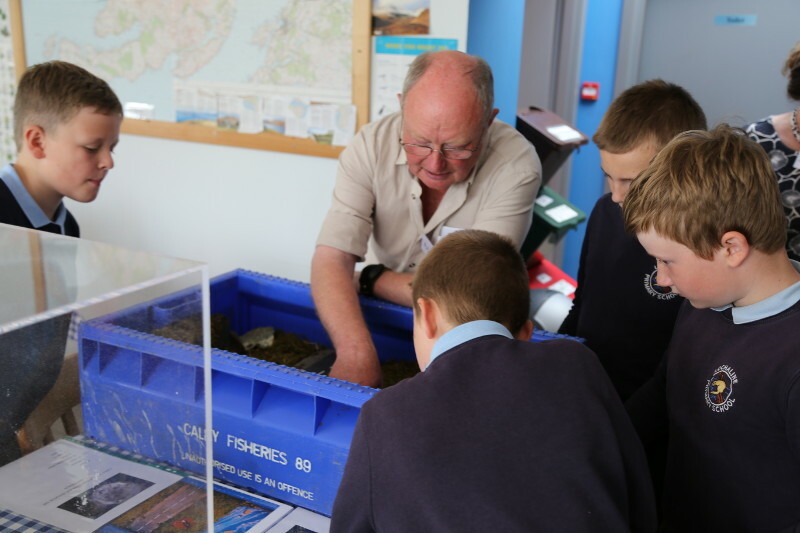 We were joined by Ulva Ferry, Dervaig, Lochdon, and Lochaline schools at Craignure Bunkhouse. 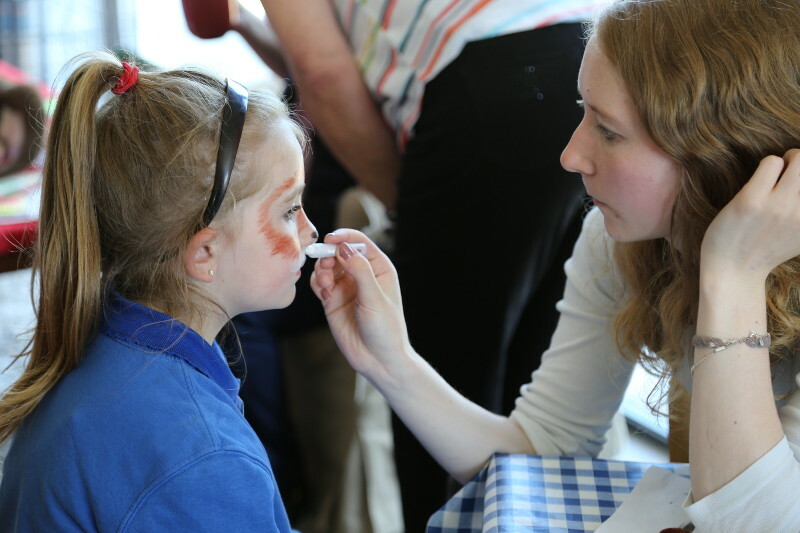 With the sun shining, and all those eager, young faces the scene was set for a brilliant day. 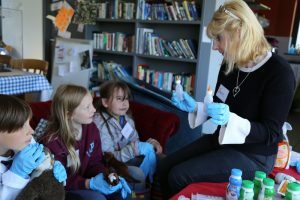 Nigel Burch lead children on a walk to the shoreline to spot signs and tracks of the local otters, and back at base camp he showed the children a miniature model of the otter’s world including freshwater pools, spraint patches, and the difficulties presented to the otter of how to cross the road! 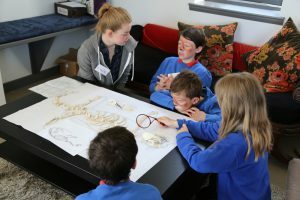 Meanwhile, Laura Penny explored the mysteries of an otter’s skeleton with another group of children. Another group of children learned all about rescuing orphaned otters with Jane Stevens. Other groups of children engaged in story-telling, making collages, writing postcards. 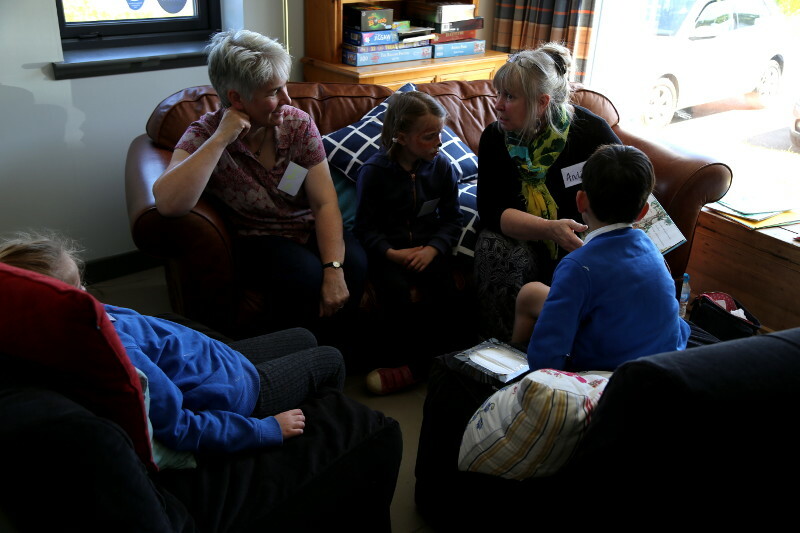 The groups of children then swapped around, so everyone had a chance to try everything! 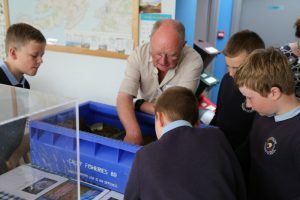 Some children from Lochaline, along with some adult wildlife enthusiasts, spent the whole day with David Woodhouse from Isle of Mull Wildlife Expeditions. 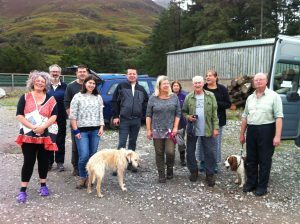 They had a great day out, and saw practically every example of Mull’s great wildlife including an otter! Many thanks to all involved in the day. So many people devoted their time for free, and we couldn’t be more grateful. Special thanks go to Craignure Bunkhouse for kindly letting us use their lovely space for our event, and being so helpful. 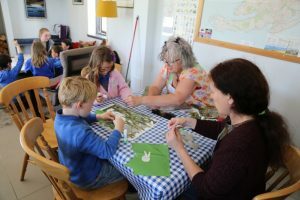 And we were so glad that the children seemed to enjoy themselves, and learn so much at the same time! Just look at some of the video footage Mull Otter Group managed to get of our newly released otters last night! The otters we released a couple of weeks ago are eating the fish that is being left out for them (just temporarily to get them through their transition period). By the look of it they are also managing to stay ahead of the competition coming from the local ferral cat. Just look at some of the video footage we managed to get of our newly released otters last night! The otters we released a couple of weeks ago are eating the fish that is being left out for them (just temporarily to get them through their transition period). By the look of it they are also managing to stay ahead of the competition coming from the local ferral cat. If anyone has any spare fish let us know. Mull Adopt-a-Beach is a year old. To mark the occasion we have produced a bulletin. Last year we rescued a small abandoned cub, Gribun, which would otherwise have died, and it went off to be reared by the SSPCA and it joined another small cub there. 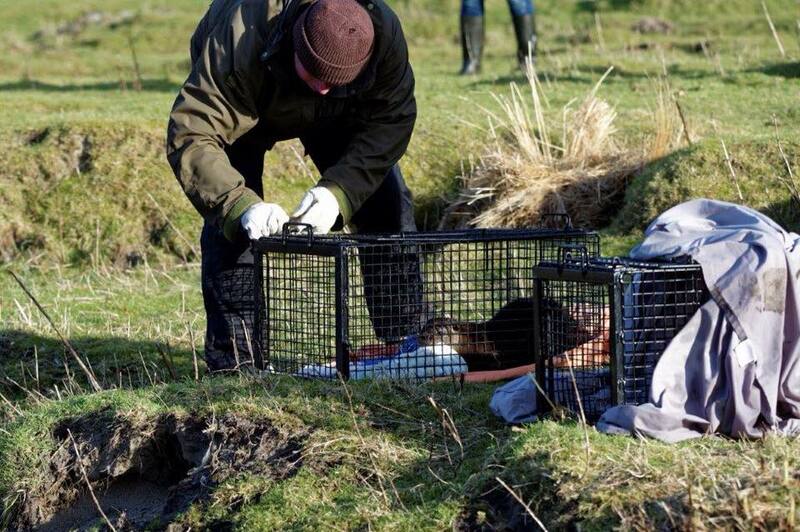 The SSPCA did a splendid job and the otters were mature enough to be returned to Mull for release. Last Thursday we released both otters together at a secret site. After 6 days of no sightings today we saw the girls swimming, fishing, feeding and chattering together and generally looking like happy otters. Such a great finish to a long journey and it makes MOG’s work so worthwhile. 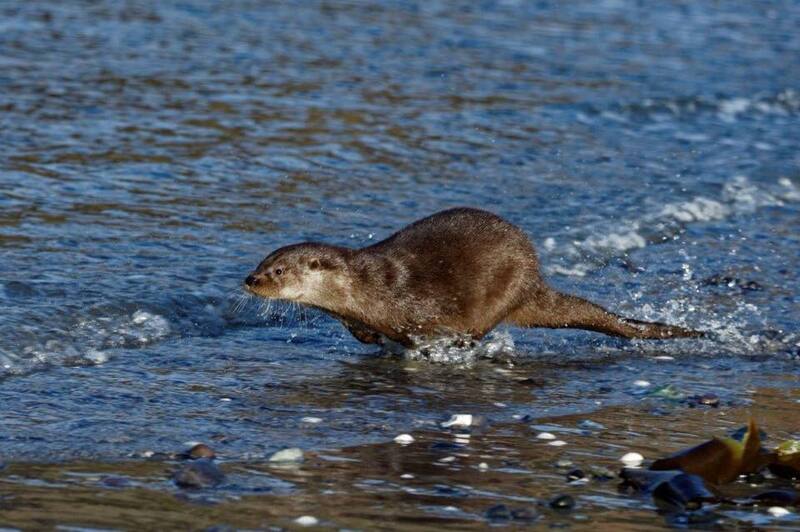 Our thanks go to the SSPCA team, the lovely lady who found the otter cub and also to a fantastic couple who live close to the release site and are putting out some extra fish daily in case our otters need a supplement in their first few weeks. 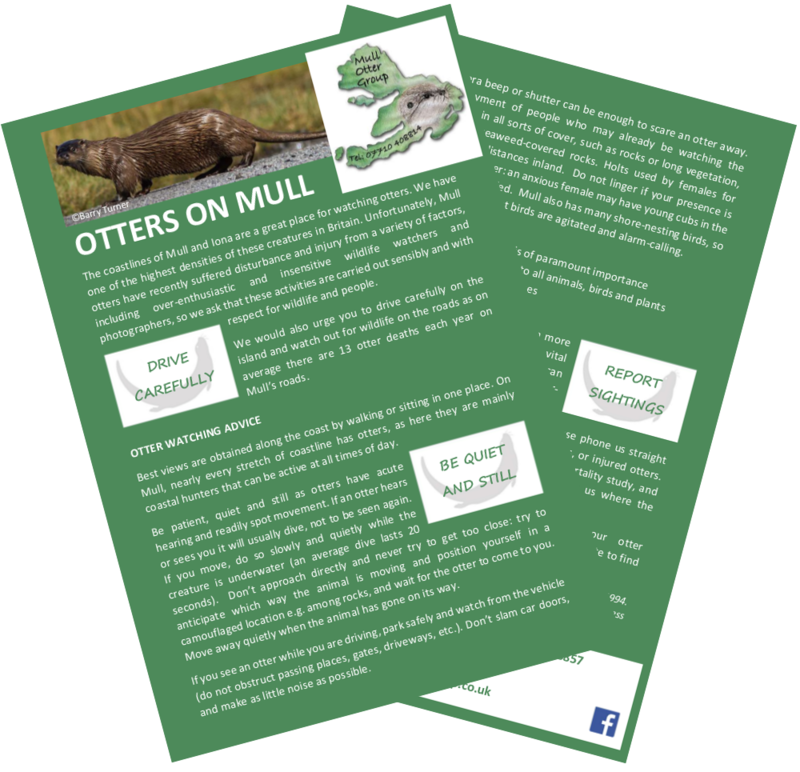 Mull Otter Group has updated its information leaflet. We will be distributing the leaflet across Mull in the coming weeks. 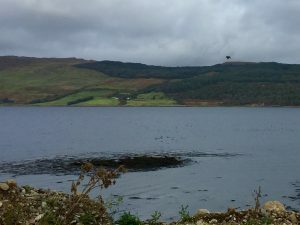 If there are any Mull businesses who would like to make the leaflet available to their guests then please let us know. You can download the PDF version so that it is handy to use on your tablet or smartphone. Just like the chicken, it wanted to get to the other side! 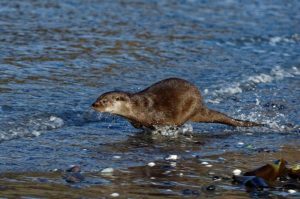 Otters need to cross the roads which lie between the feeding area on the shore, and the places where they rest and get fresh water which are further inland. We wish they would wait until it’s safe to cross the road, or always use the convenient tunnels a.k.a. 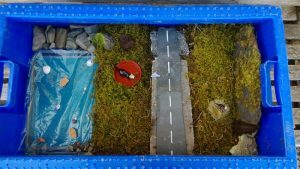 culverts. But until someone figures out how to teach otters about road saftey we have to think of other methods. 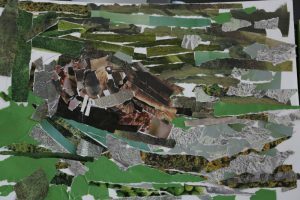 So Mull Otter Group have been working up a sweat again. 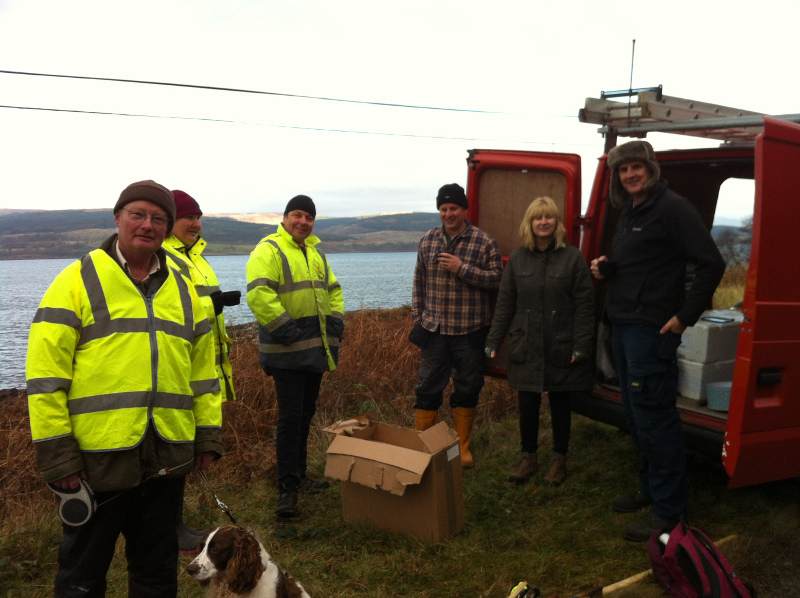 On Sunday 27th November a small group of us installed a set of reflectors at the side of the road near Pennygown. 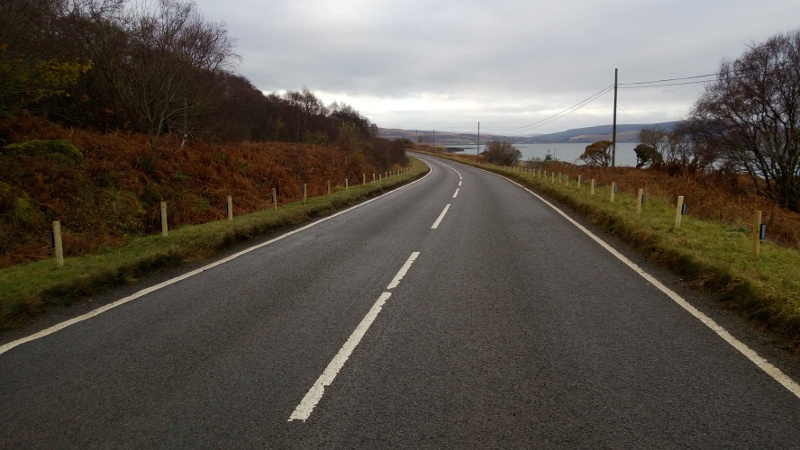 This is the second set for Mull, and the second in the area, which is a hot spot for otter road fatalities. 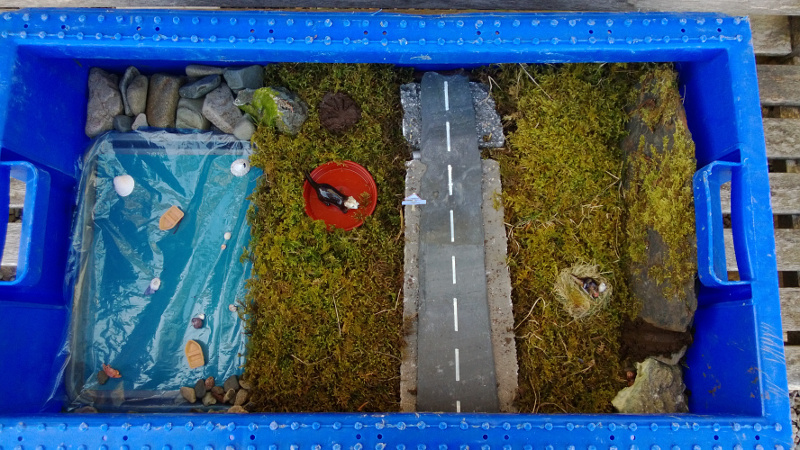 The reflectors angle the light from car headlights into the verge, where any otter considering crossing the road will hopefully wait until it’s safer to cross. 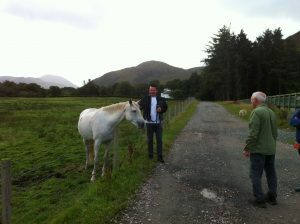 This is part of our trial on Mull, but it has proved successful on Skye. 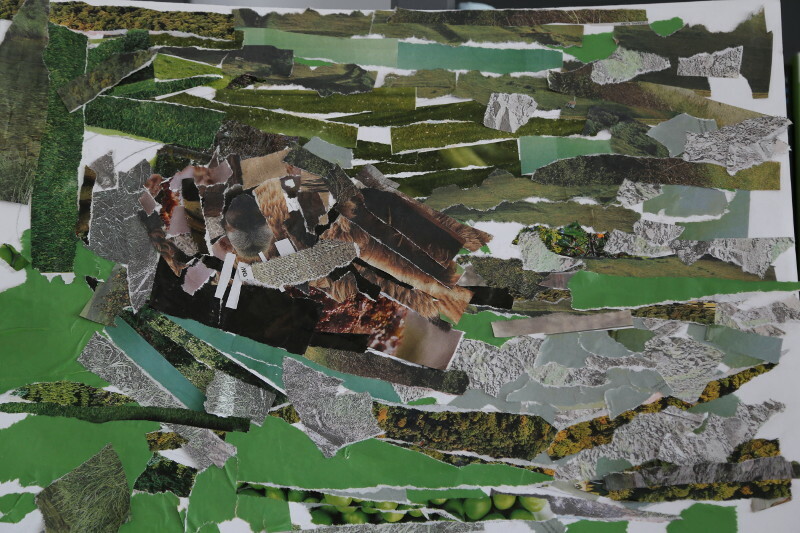 We hope it will be successful on Mull. True to form, MOG folk used this as an excuse to eat cake, but I suppose we’d burned off a few calories! 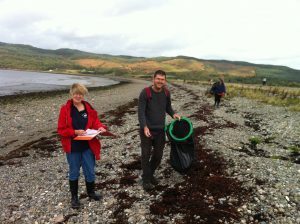 For what we believe to be the first time ever the Great British Beach Clean came to Mull on Saturday 17th. MOG’s very own ‘Mull Adopt-a-Beach’ took part in this important initiative by the Marine Conservation Society in order to add to the important data that it collects on marine litter. The data is used to drive change e.g. carrier bag tax, and hopefully in the future a deposit return system for plastic bottles. It can also help identify sources of litter so that they can be tackled directly. So with this in mind 18 or so intrepid volunteers (13 human and 5 canine!) turned up to Knock Hatchery to tackle marine litter on Mull. 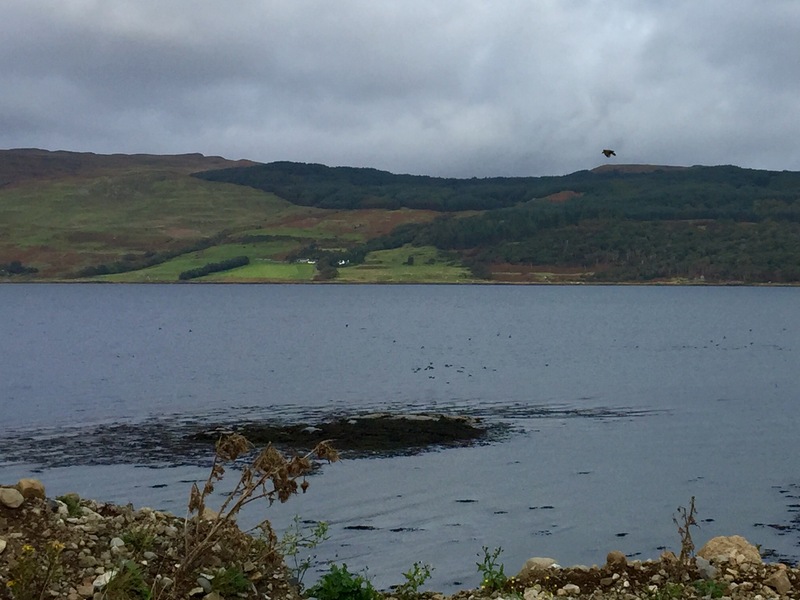 The weather was good, so we felt lucky, but then things got even better – a white-tailed eagle did a close fly-past as it checked out the possibility of grabbing one of the many ducks or gulls, and then landed on a post not 50m away! Everyone was supposed to be listening to the briefing at the time, but I think it’s OK to be distracted by such spectacles. We surveyed a 100m stretch of the shore and cleared up probably another 1000m. Well done and many thanks to all involved. We then refreshed ourselves with a variety of snacks and tea/coffee before heading off. Whilst the Great British Beach Clean always takes place over a weekend in September, MCS Beachwatch surveys can be done at any time, and anyone can register a beach, and start carrying out surveys for it. More information can be found here: MCS Beachwatch. If you do decide to become an MCS Beachwatcher please let us know! On Mull early August means the summer shows. 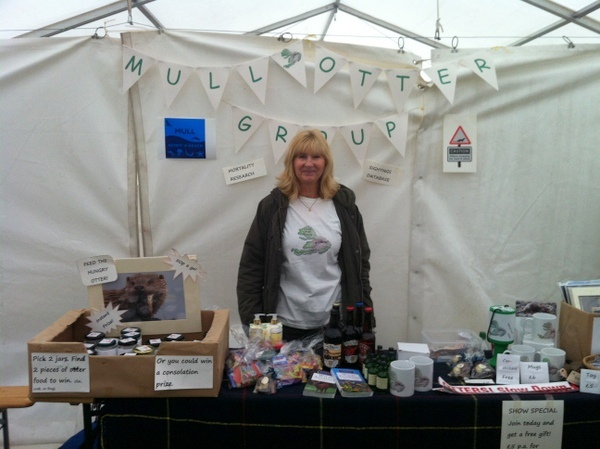 Mull Otter Group thoroughly enjoyed attending the Bunessan Show and the Salen Show this year. 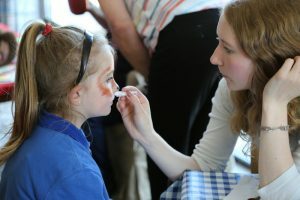 Both shows have lots to see and do, and it is a great chance to see how much is going on in the community. It has to be said, Bunessan faired better with the weather, but the constant rain did not put off visitors to the Salen Show. MOG was very glad to have their stall safely tucked in a tent though. 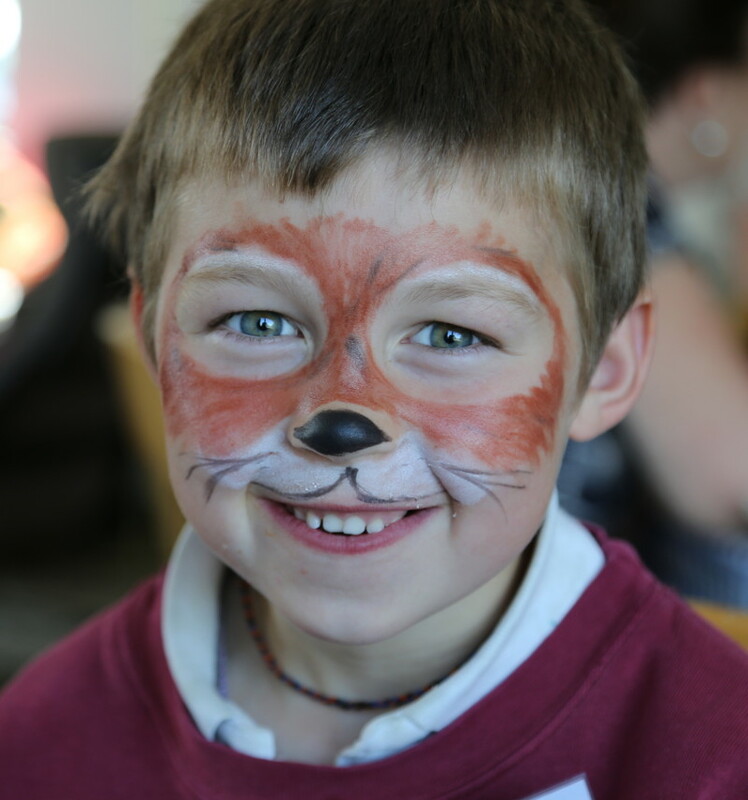 We met lots of lovely people and our ‘Feed the Hungry Otter’ game went down a storm, especially with the children. 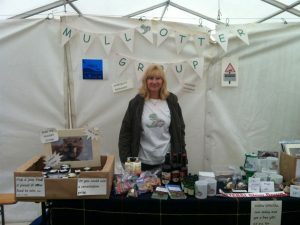 Many thanks to everyone who visited our stall and helped us raise funds for otter conservation.